The new BoomBottle H20+ from Scosche is a Bluetooth wireless speaker that also includes a convenient line-in for non Bluetooth devices. It features an impressive IP67 rating which means its not only waterproof and dustproof, but its tough exterior can withstand drops and impacts. The new BoomBottle H20+ from Scosche is a Bluetooth wireless speaker that also includes a convenient line-in for non Bluetooth devices. It features an impressive IP67 rating which means its not only waterproof and dustproof, but its tough exterior can withstand drops and impacts. 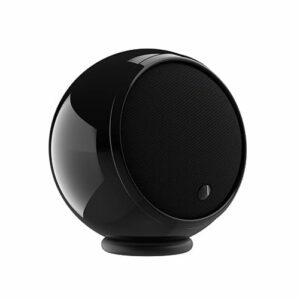 When the speaker gets dirty, you can dunk it in the water to wash it off. The new BoomBottle H20+ is fully waterprooof and its unique design lets it float while in the water. It is specially built and designed for outdoor use to be sturdy and durable. This makes the BoomBottle H20+ perfect for trips to the beach, mountain biking, hiking trails, lounging around the pool, boat trips, camping, outdoor parties, and more. An integrated 1/4” thread is included for attaching the speaker to compatible mounting systems, along with a durable carabiner to clip to your bag. Its battery offers up to 11 hours of continuous use on a single charge. To recharge the battery, just use the micro-USB reversible charging cable included with the speaker. 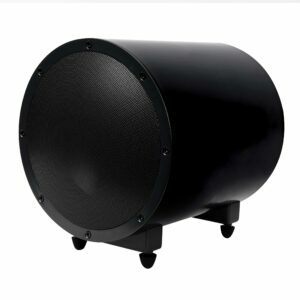 The BoomBottle H20+ features a powerful 12W 2” speaker and passive subwoofer that projects upward for dynamic, clear audio with enhanced acoustics. 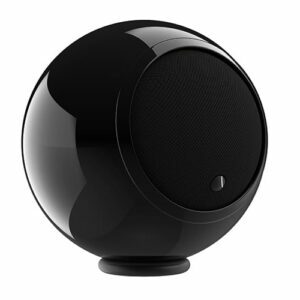 This unique up-firing speaker pushes the music in every direction, and creates a panoramic 360 degrees of sound. It features switchable equalization (EQ) to provide rich, expansive audio for any environment. For true right and left stereo sound, pair two BoomBottle H20+ speakers together simultaneously to liven up any outdoor event. On the front, large rubberized buttons allow the listener to easily adjust volume levels or skip tracks. The simple three button interface lets you control the unit so you can keep your tablet or smartphone securely tucked away. An LED battery indicator displays four different color levels to indicate the remaining strength of the battery life. It’s handy design ensures it will fit easily into bike water bottle cages so you can safely take it with you on the trails, as well as cup holders for your cooler or camping chair. Located on the bottom is a 1/4 inch threading that can be used to mounted the speaker onto tripods and other compatible mounts. Want to save on all your audiogeeks.com purchases? We’ll never waste your time. We won’t email you unless we’re running a killer sale or have a great new product. © audiogeeks.com. Trademarks and brands are the property of their respective owners.